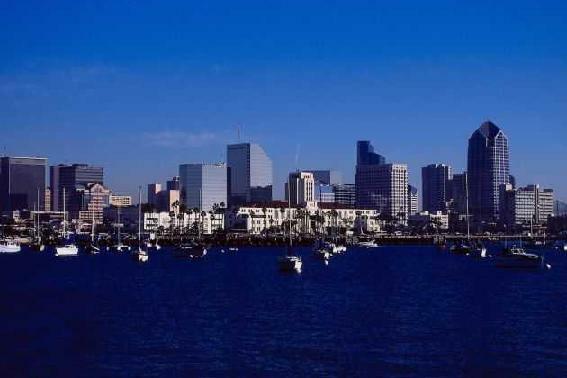 San Diego is the 2nd largest city in California and 8th largest in the United States of America. The city is located in San Diego County, at the extreme southwestern corner of the contiguous United States. As of 2006, the city had an estimated population of 1,256,951, with 2,941,454 living in the San Diego metropolitan area (4,922,723 if one counts Tijuana, Mexico). The name of San Diego originates with Spanish explorer, Sebastián Vizcaíno, who mapped the area in the early 17th century. Vizcaíno is known to have explored the harbor, Mission Bay, and Point Loma. He named the area after Saint St. Didacus, who is more commonly known as "San Diego". Perhaps the best known educational institution in San Diego is the University of California, San Diego ("UCSD"), which is a public coeducational research university that was founded in 1960. Professional sports franchises in San Diego include the baseball team, the San Diego Padres, and the NFL American football team, the San Diego Chargers. Important sectors of San Diego's economy include biotechnology, wireless cellular technology, defense and tourism. Some of the leading companies that have based their headquarters in San Diego include General Atomics, Qualcomm, Science Applications International Corporation and Websense. The principal airport for San Diego is San Diego International Airport ("Lindbergh Field"). 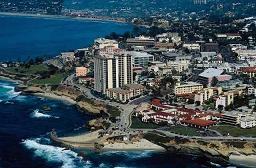 San Diego's nicknames include ":America's Finest City":, ":City in Motion":, and ":Silicon Beach":. With blockbuster attractions like LEGOLAND and the world-renowned San Diego Zoo, great beaches, outdoor activities, excellent food, and an ever-expanding list of breweries and brewpubs, San Diego has become one of America's top go-to cities. Fodor's San Diego has everything travelers need to make the most of a trip, whether they're looking for an all-out family vacation or a sophisticated adult getaway. Planning to visit more of California? Check our Fodor's state-wide travel guide to California and also Fodor's San Francisco, Napa & Sonoma, and Los Angeles guides. • Brand-new itineraries help you plan your trip to San Diego. - The best of San Diego in one, two or three days, plus thematic tours for every interest, schedule or taste. - Walking tours of the city's best-loved neighborhoods, from the Gaslamp Quarter to La Jolla and Coronado. - Scores of evocative color photographs. - Bulleted maps that show the reader how to get from place to place, plus a tear-resistant foldout map in a handy, reclosable plastic wallet. - Highly opinionated appraisals of hotels, restaurants, shopping, and nightlife for all budgets from luxury to backpacker. - Exact pricing so there’s never any guessing. - Detailed information on the best outdoor adventures, beaches and day trip. Welcome to San Diego, the second largest city in California. Mexico, the Pacific Ocean, the Anza-Borrego Desert and the Laguna Mountains surround San Diego and are all contributing factors to the ideal climate. With seventy miles of beaches, the Gaslight District, Sea World Adventure, LEGOLAND, La Jolla shopping and the San Diego Zoo; whatever your pleasure, San Diego is the ultimate playground for the whole family. To help get the most out of your visit, carry the STREETWISE® map of San Diego. Lions and tigers and bears, oh my! Yes, the zoo is a must see. Over 4,000 animals, living in habitats that rival Mother Nature herself, create one of the best animal experiences you'll ever find. Balboa Park, where the zoo is located, has many other attractions you'll want to include the Spanish Village Arts Center-35 art studios in a recreated Spanish town square, the Timken Museum-a jewel of a small museum with European Old Masters' paintings, House of Pacific Relations historic cottages host cultural festivals, San Diego Aerospace Museum take a simulated walk in space, The Old Globe and Junior Theatre-offering performances for all ages throughout, Hall of Champions Sports Museum-from Ted Williams to Tony Hawk, the San Diego Museum of Art-the regions oldest and largest, the Museum of Man-devoted to anthropology (more exciting than it sounds) and the Japanese Friendship Garden. That's just a partial list. There's also Butterfly rides, a carousel, lawn bowling, a miniature railroad you can ride and, of course, the Spreckles Organ Pavilion. Walk along the Prado Walkway around the Casa del Prado and admire the Spanish Colonial architecture. These buildings were part of the 1915 Panama-California Exposition celebrating the completion of the Panama Canal. The area inset on the STREETWISE® San Diego Map will navigate you in and around the city region to places like San Diego International Airport, Pacific Beach, Coronado Island, Point Loma, La Jolla, and the University of California at San Diego. You'll also find enlarged inset maps featuring Old Town and a detailed street map of La Jolla. A complete index of streets, hotels, points of interest, shopping, education, culture, transportation and parks is clearly listed on the map. Our pocket size map of San Diego is laminated for durability and accordion folding for effortless use. The STREETWISE® San Diego map is one of many detailed and easy-to-read city street maps now owned and updated by Michelin. Buy your STREETWISE® San Diego map today and you too can navigate San Diego, California like a native. Hey there! Congrats on finding the ultimate guide to California! This California Guide is now available across all digital devices - So what are you waiting for?! We think you’re so very lucky to be going to California and this guide will let you in on all of the state’s travel secrets so you can have the best possible trip in places like Los Angeles, San Diego, San Francisco, Malibu, and Yosemite National Park.